SMi Source has a team of dedicated scientific writers and professionals to ensure that content is reliable, relevant, and current. Whether you need help finding specific answers, refining your expertise, or learning an entirely new topic, SMi Source has you covered. All material is referenced to support medical, legal, and regulatory views. 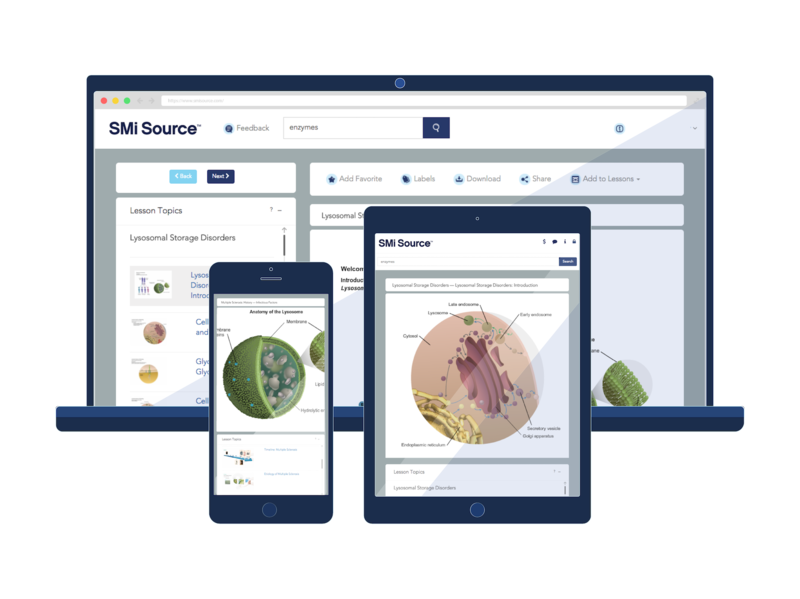 Fill your training gaps, modify or build new lessons from existing topics, or enhance the learning experience with multimedia content from SMi Source. Share online or access SMi Source lessons directly from your learning management system. Provide primary assets to support training localization.